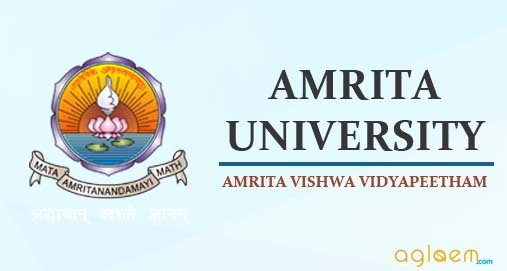 Amrita University MBA Admission 2019 – The application form to apply for the Amrita University 2019 MBA Admission is available. The last date to apply for admission in the Amrita campuses at Kochi, Amritapuri, Bengaluru and Coimbatore are different. The registered candidates have to appear in interview rounds if selected. the candidates who have a valid KMAT/CAT/MAT/XAT/GRE/GMAT/CMAT. scores are given priority in the PI rounds. Check complete information regarding Amrita University MBA Admissions 2019 loke eligibility, application process, dates etc from this page. Latest: Admission process dates in various campuses has been revised. Also, the candidates can now apply for Amrita University MBA Admission 2019 – Click Here. The MBA programme at Amrita University is a 2-year residential programme. A candidate who is qualified from any Association of Indian Universities recognised Institute at 10+2+3 level, with minimum 50% marks are eligible to apply for the MBA courses at Amrita University. Application Form has been released. Interested candidates will be able to apply for the MBA Admission 2019. DD shall be made in favour of the campus of your first choice and sent to the corresponding address mentioned below. Ensure that you mention your application form reference number, name and mobile number behind the DD before you send it along with the copy of your application form. The application fee is Rs. 1000/-. This can be paid either online (using net banking, debit/credit card) or by DD. DD to be drawn in favor of the campus of your first choice and send to the corresponding address mentioned below. Ensure that you mention your application form reference number, name and mobile number behind the DD before you send it along with the copy of your application form. Once the application form is submitted, no further modifications can be made*. Ensure that you preview the application form, check for entries made prior to final submission. Please maintain a copy of the completed application form with you for future reference. Noncompliance to any of the instruction above would result in rejection of the application form. Please use the application no. for any future correspondence. If payment is not done, the application is treated as incomplete and will be rrejected without any prior notice. Note: Applicants appearing for the entrance tests at a later date may update their scores online or send through email. To get admission in MBA by Amrita University, the candidates need to fulfil the below given criteria. Bachelor’s degree in any discipline with 50% marks. Valid entrance test score such as CAT / XAT / MAT / CMAT / GRE /GMAT / KMAT (only in Kerala). IBT-TOEFL/ IELTS score is mandatory for Bengaluru campus & required before August 20, 2019. Click Here to check Amrita University Bengluru Campus FAQ. Click Here to check Amrita University Coimbatore Campus FAQ. Click Here to check Amrita University Amritapuri & Kochi Campus FAQ. For more information regarding Amrita University MBA Admission 2019 – Bengaluru Campus, download information brochure. For more information regarding Amrita University MBA Admission 2019 – Amritapuri Campus, Coimbatore campus and Kochi Campus, download information brochure.